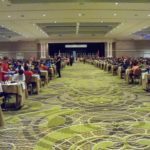 As I boarded the plane to fly to Nashville, TN, I knew I would be attending the largest rated chess event in the world. The statistics were out and this SuperNationals would be bigger than any of the previous five I had attended. The number was really big—5577 participants! Every four years since 1997 the SuperNationals had been held with the attendance increasing each time. 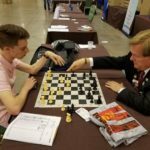 Below you will find some pictures that were taken at the tournament. 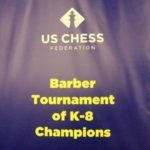 Since this event is held on Mother’s Day weekend I decided to provide some recognition for the Chess Moms who were at the event. 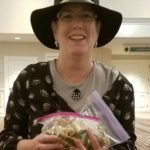 We passed out Golden Keychain Queens to 160 of our Chess Moms and I wished I had more Queens to give to our Moms. Thanks to Karis Bellisario, a Chess Mom from Arkansas for helping out. 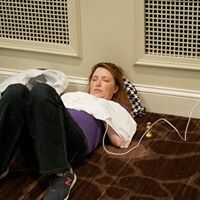 One of the photos taken at the tournament says, “We are all in for our chess kids.” As you can see below, exhaustion over took many a parent. Note the Golden Keychain Queen beside the sleeping mom. Mom is all in for Chess!? 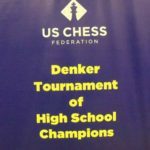 I want to take this opportunity to thank US Chess for providing the GM Denker and Barber banners. I had the chance to talk to many young people about playing in the Denker and the Barber as well as the National Girls Invitational. 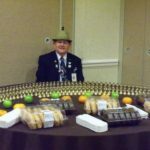 I spent a lot of time in the skittles room at the booth that was assigned to me. 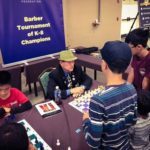 I had additional Golden Keychain chess pieces and spent time playing some of the young chess stars who were in the room. My rules were simple: 1) If you win the blitz game, you receive a Golden Keychain piece. 2) If you draw the blitz game, you receive a Golden Keychain chess piece. And 3) If you lose the blitz game, you receive a Golden Keychain chess piece. 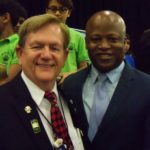 In addition, I met Steven who was the 2016 Denker representative from Arkansas. We took some time and looked at the game that he had just completed. Finally, I am happy to say I had a chance to see GM Timur Gareyev, the World Record holder in Blindfold Chess. 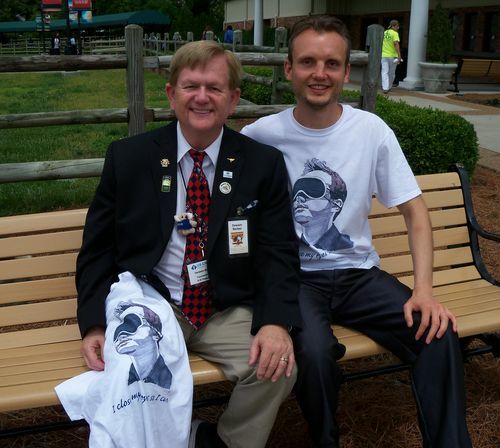 I appreciate the t-shirt he gave.